Designed for continuous protection when passing intermediate anchors these Y style fall arrest lanyards offer elasticated arms which allow for longer reach yet do not hinder movement. In the event of a fall the integrated shock absorber will limit the impact force on the user and is designed to be effective for users between 50kg (110lbs.) and 130kg (286lbs.). The multiple stages of this shock absorber are intended to minimize the force transmitted in the event of a fall. 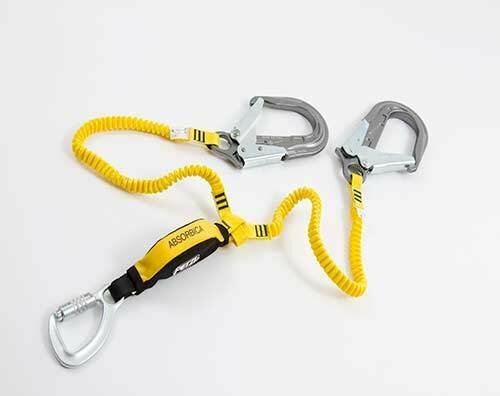 This system features aluminum MGO hooks and a captive steel TRIACT-Lock auto-locking carabiner for attachment to the harness.